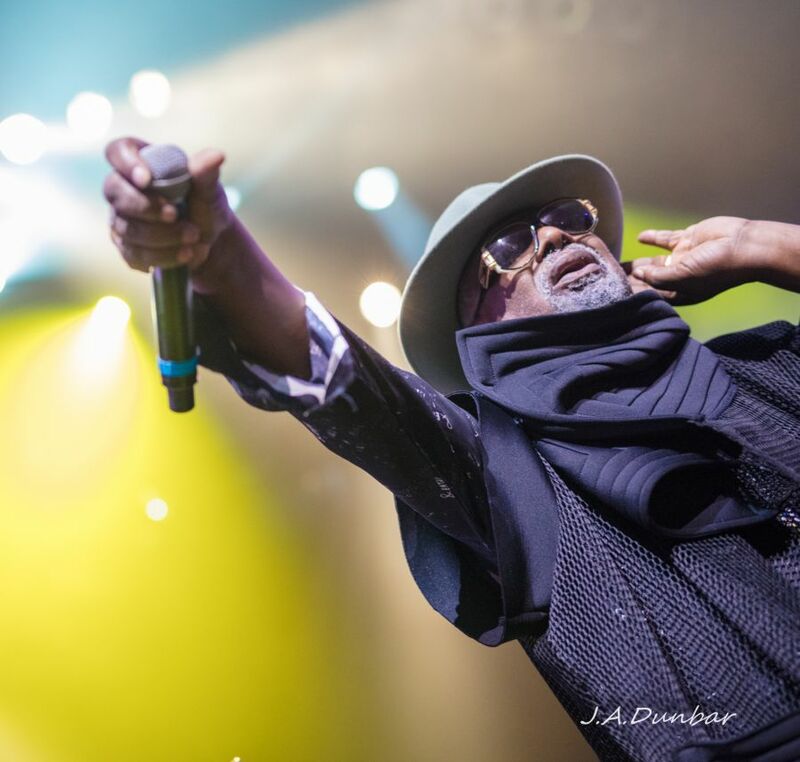 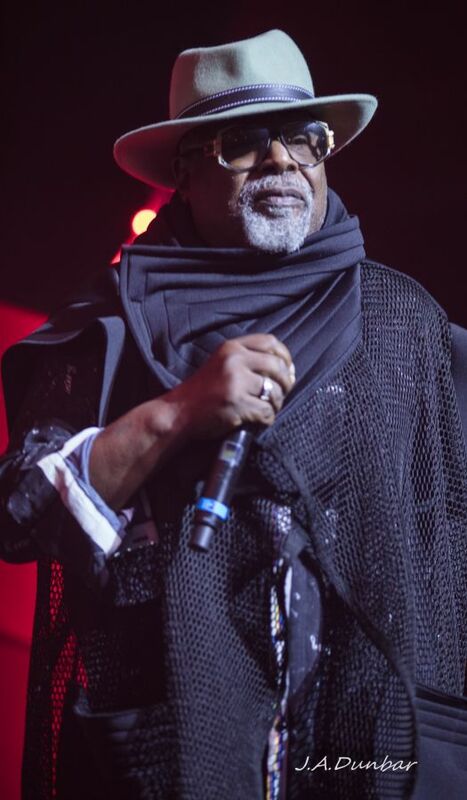 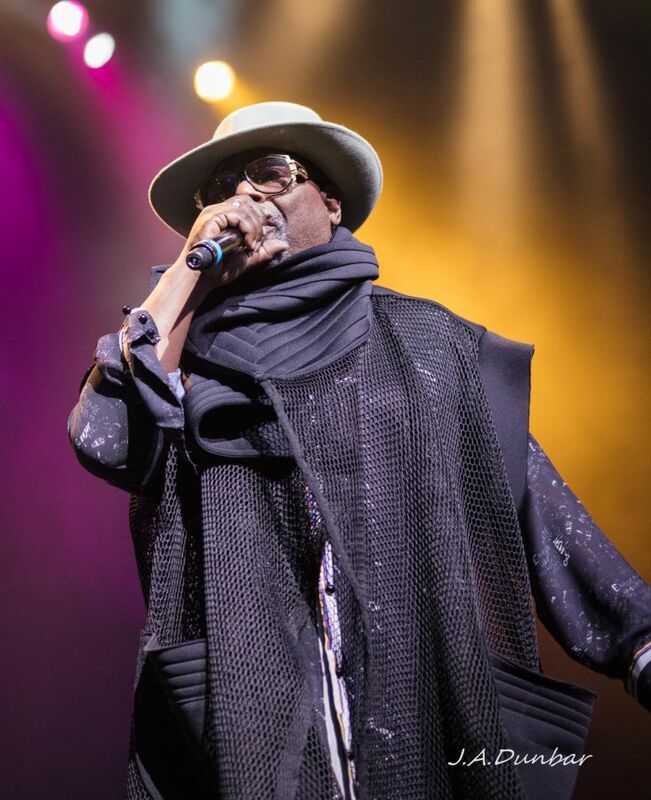 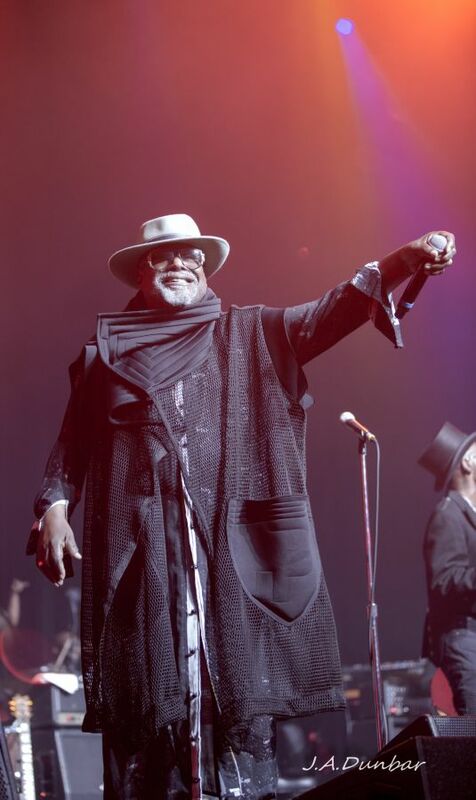 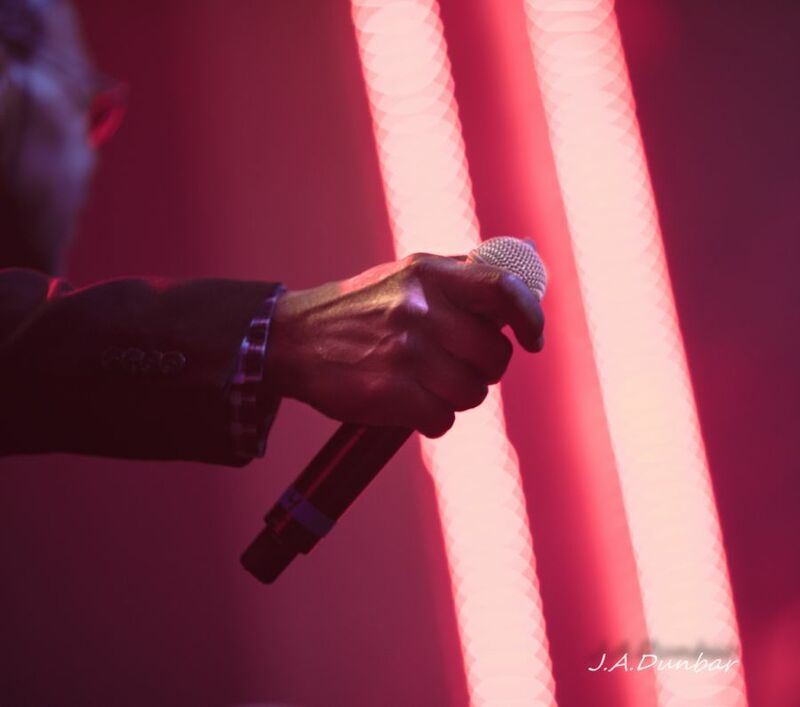 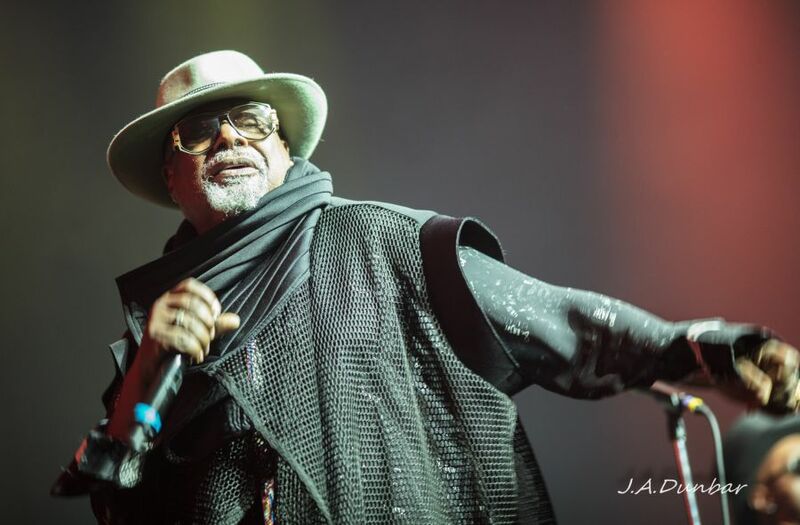 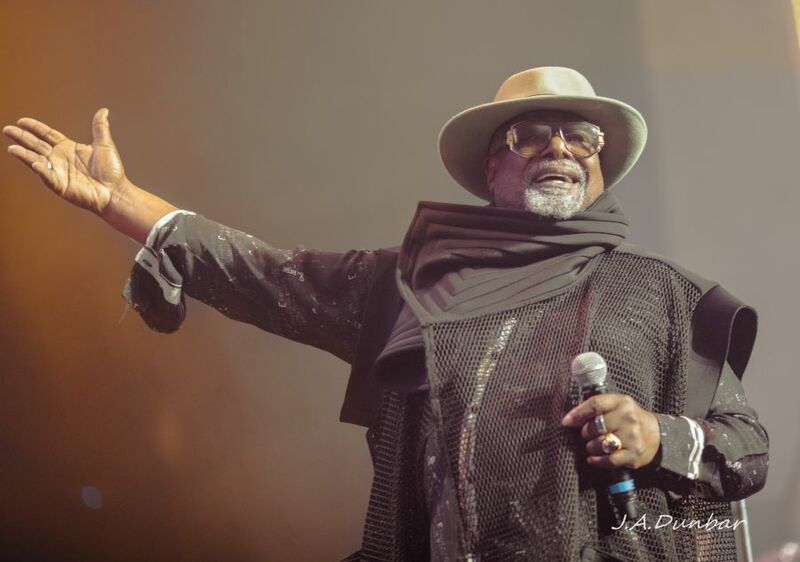 George Clinton and The Parliament Funkadelic return to The Motor-city bringing with them the iconic energy and stage presence they are famed for. 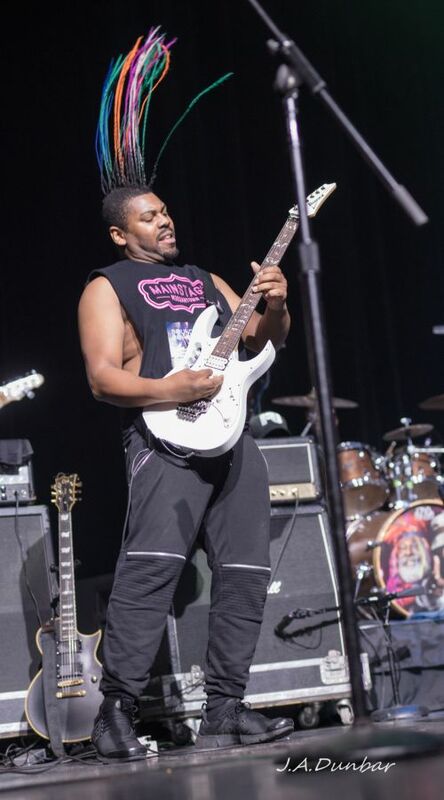 Shortly after nine pm, theater lights dim and a screaming guitar breaks the silence of eagerly awaiting fans. 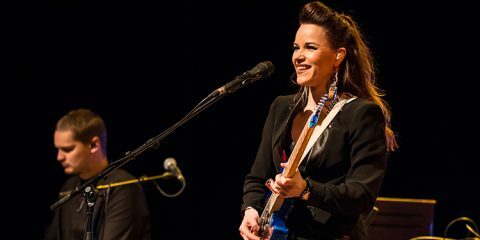 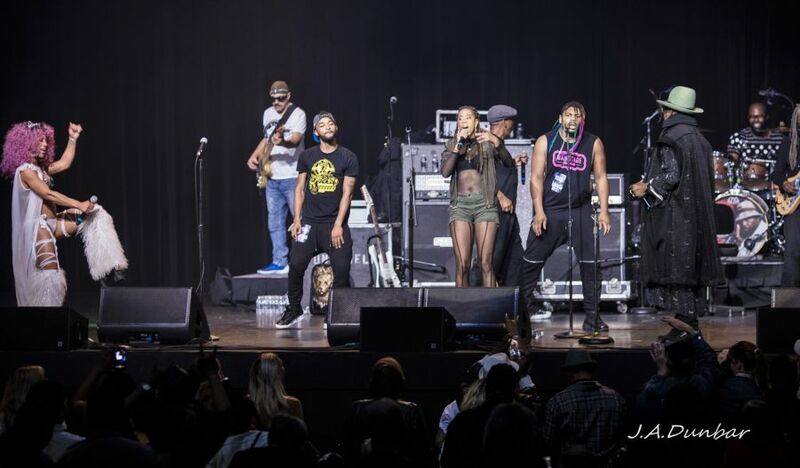 The guitar, now joined by a slapping bass and pounding drums are brought to full color as the stage lights rise to reveal a brigade of veteran musicians storming the stage. 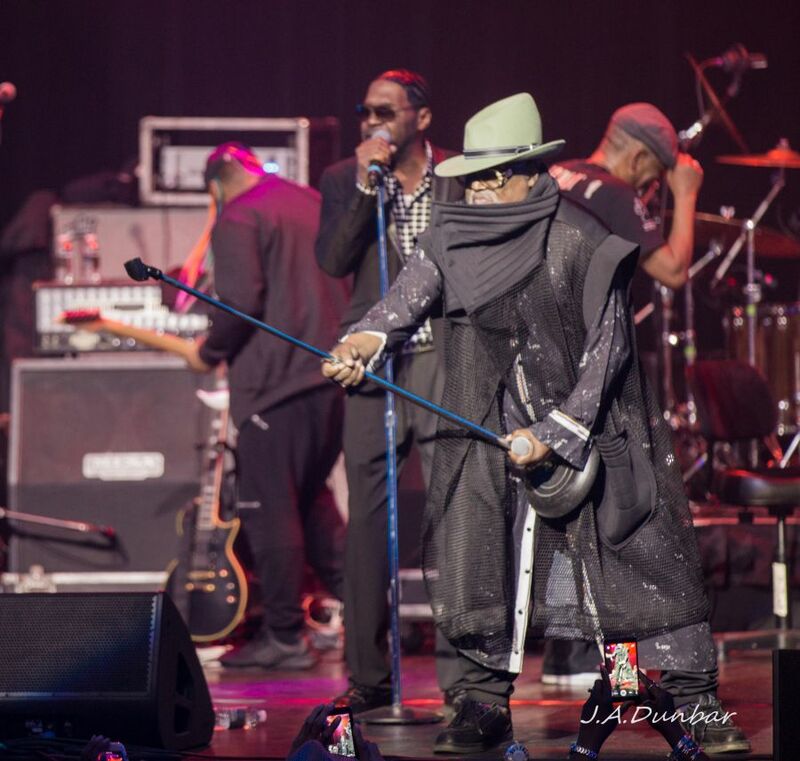 Clinton follows his troop, numbering greater than 12, to the stage with a brand new look. 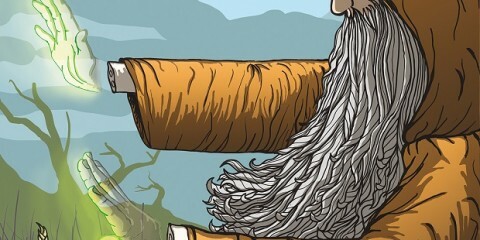 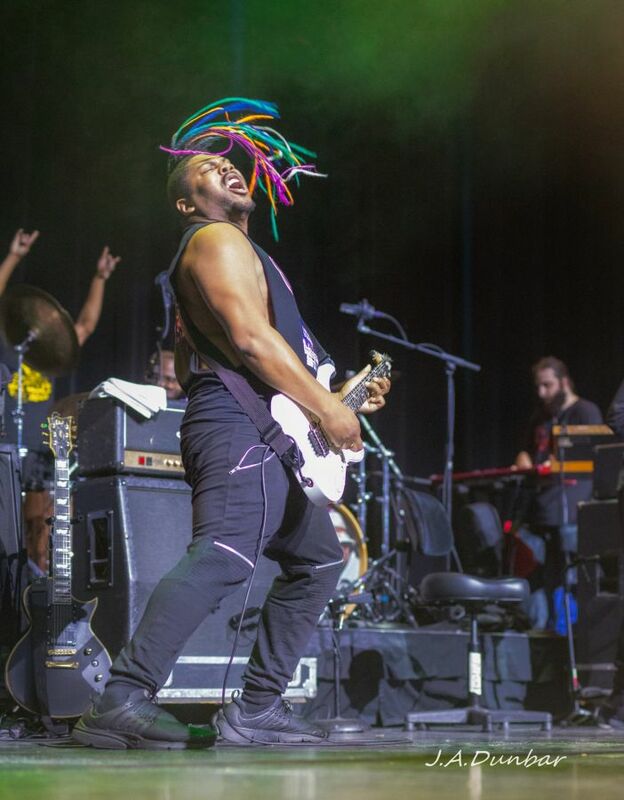 Gone are the rainbowriffic, shaggy dreadlocks of a Funkadelic yesteryear. 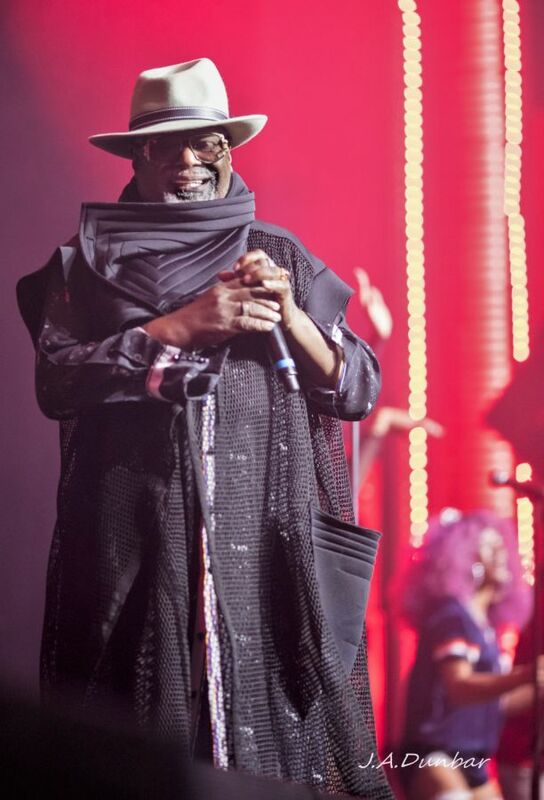 In their place is a slick, wide brim hat, crowning a familiar smiling face. 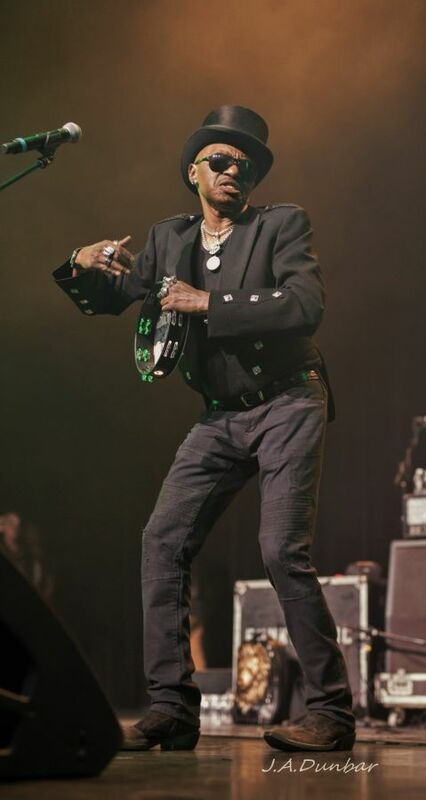 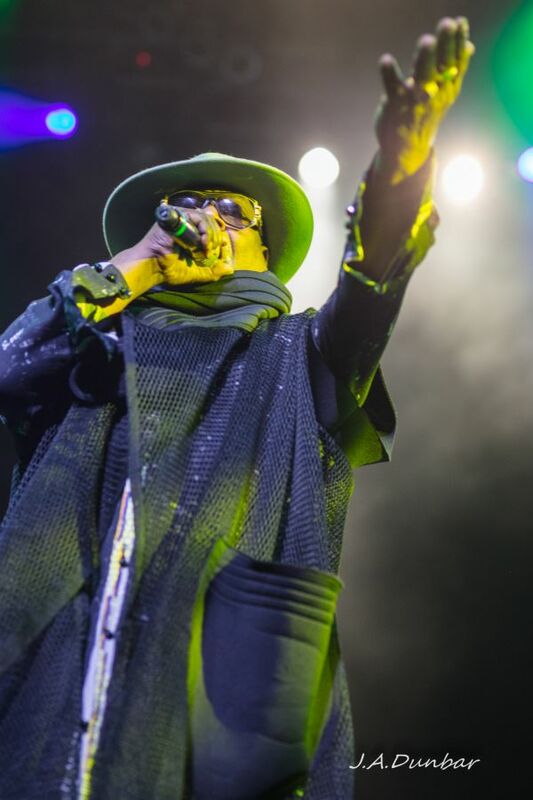 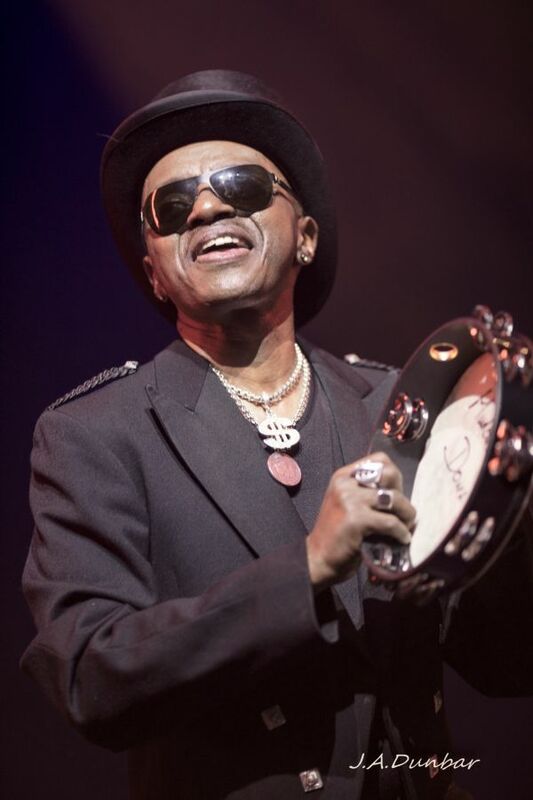 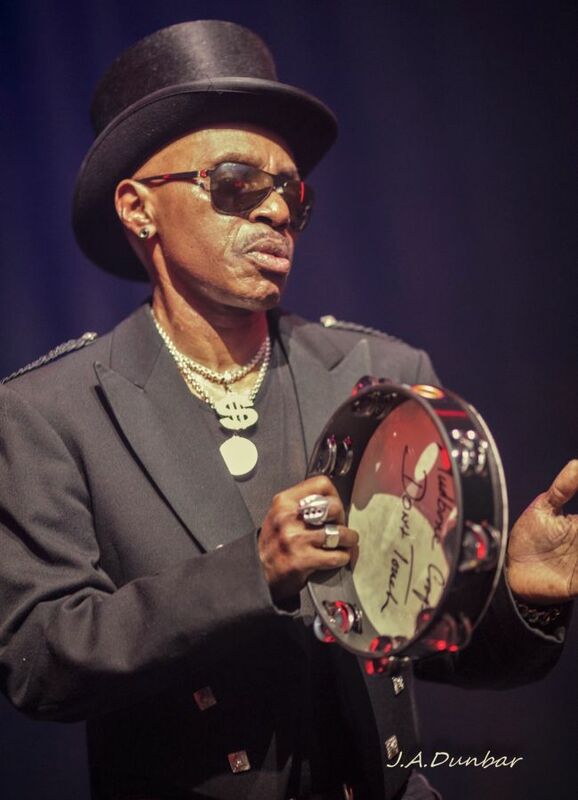 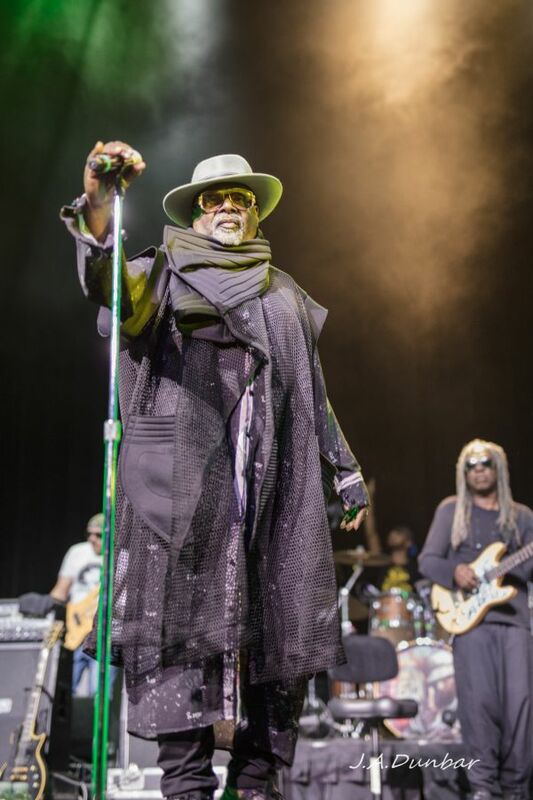 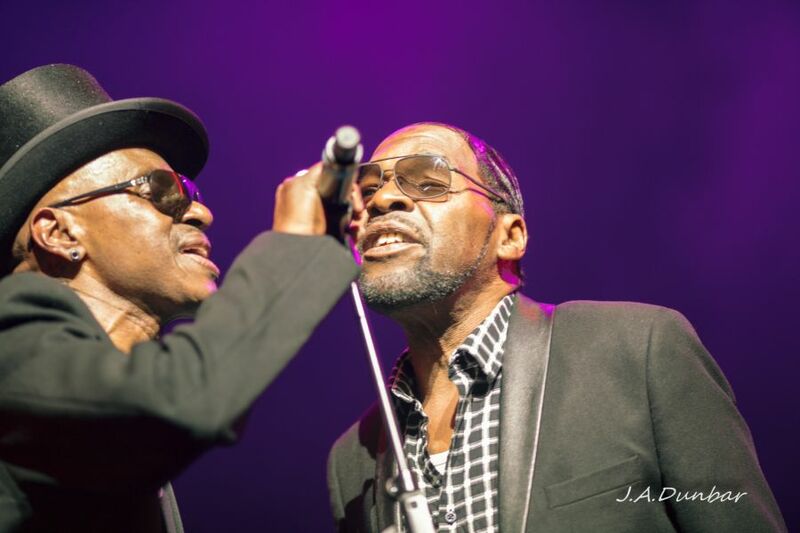 The well-known, eccentric, flashy and occasionally mischievous front man, now appears looking more like a blues legend dressed in a “Matrix” style wardrobe, than the brightly colored funk king he is most usually remembered as. 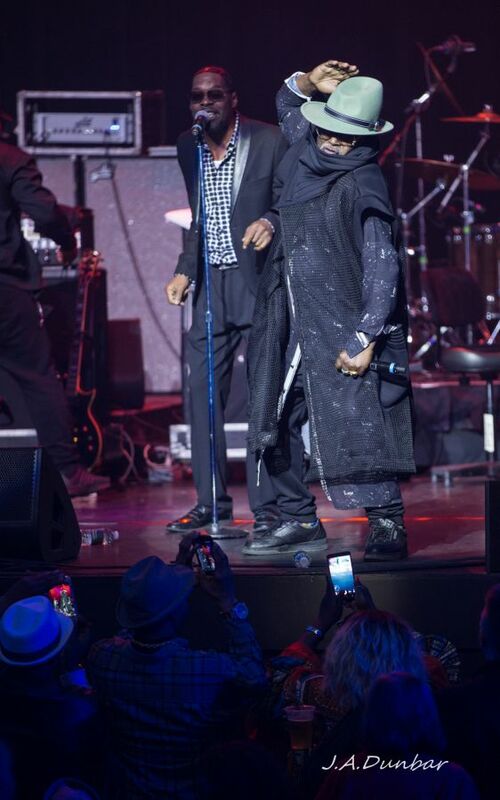 Although the look is new, and Clinton is approaching 75, he still brought the energetic mischief his fans crave. 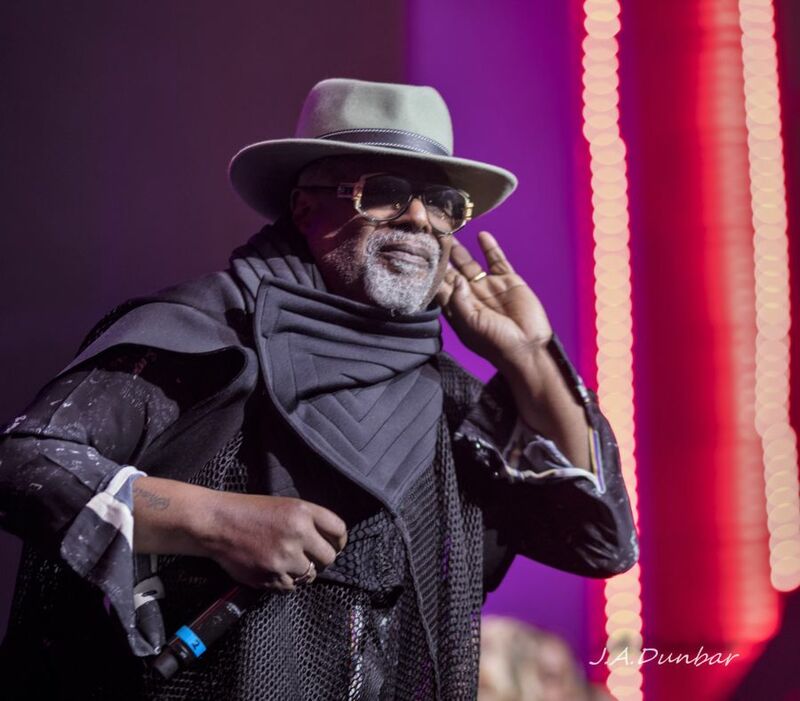 Evident from the beginning of the show, the seating across The Sound Board Theater was magically transformed into a huge, gyrating dance floor of young and old alike. 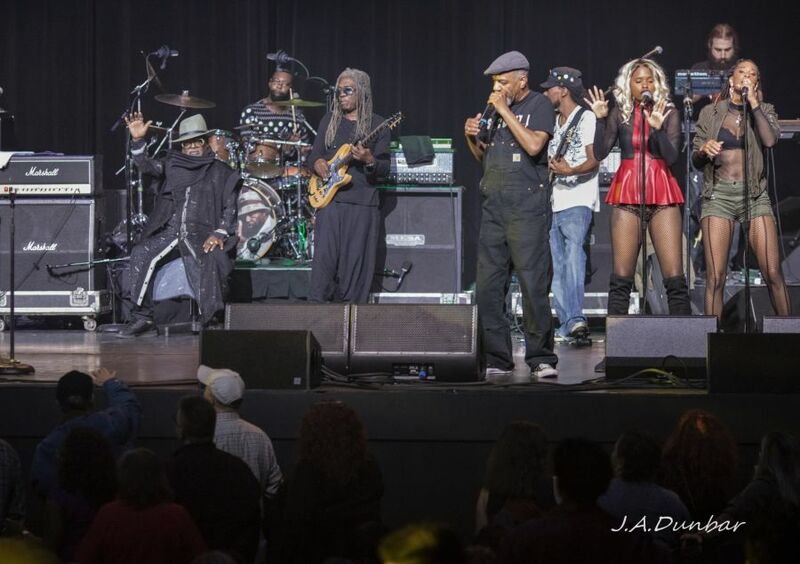 Clearly, The Parliament Funkadelic has a strong fan base within The Motor City, with a good majority of their origin and roots cultivating from the streets of Detroit. 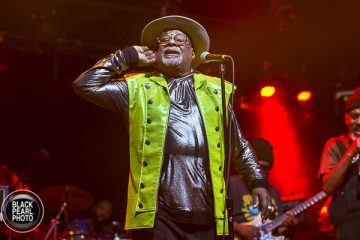 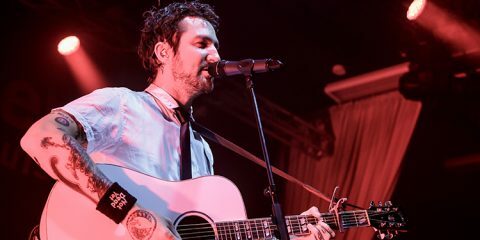 Fans were engaged as Clinton would direct his energy and dance moves to various audience members, surprising all with a few moments of youthful spryness. 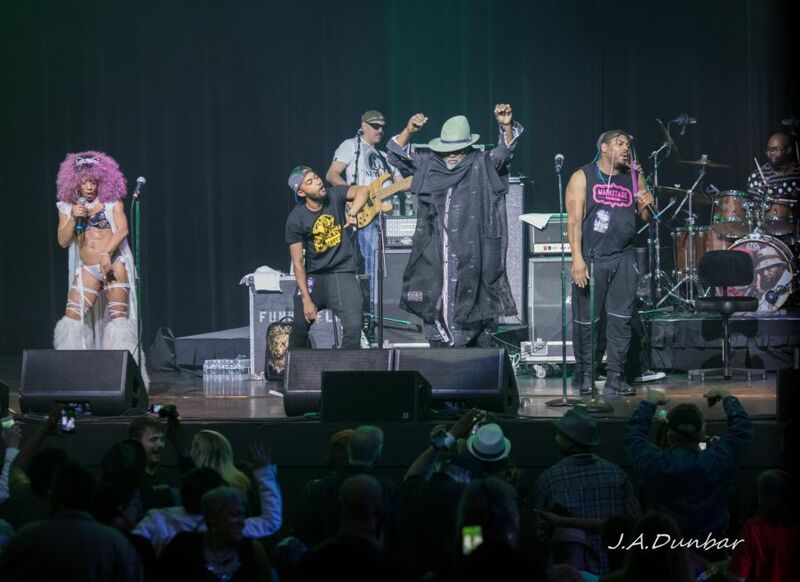 The Parliament Funkadelic worked fiercely, constantly moving like circus acrobats, and adding new performers to the stage crew as the show progressed. 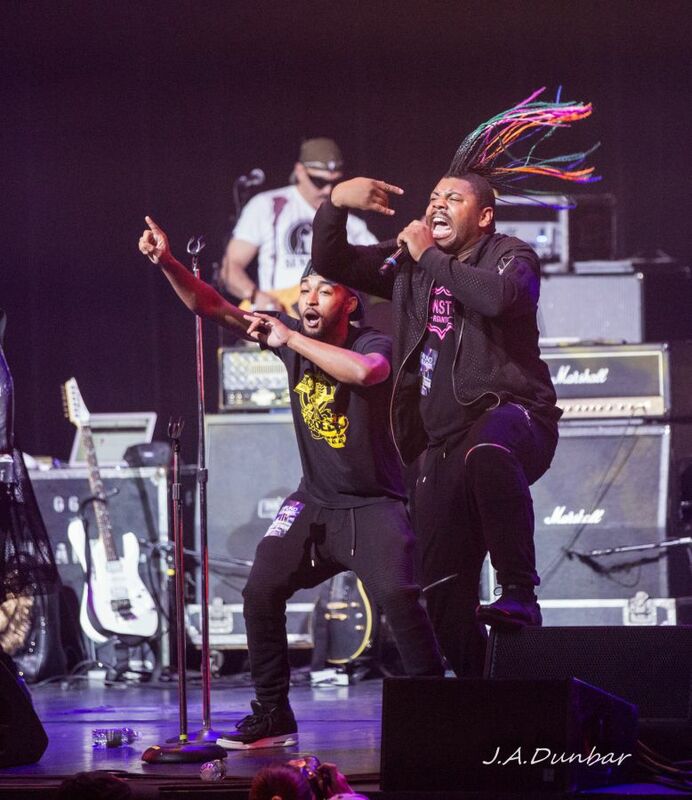 Clinton liberally traded out vocals with his musical front line, and Steve Boyd, swapping lyrics on the mic, just like a hip-hop youngster. 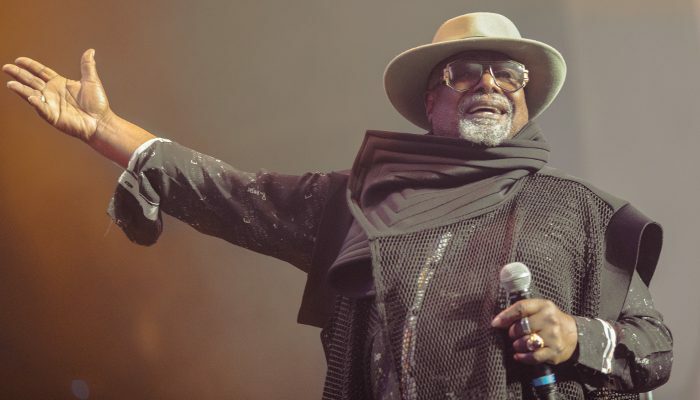 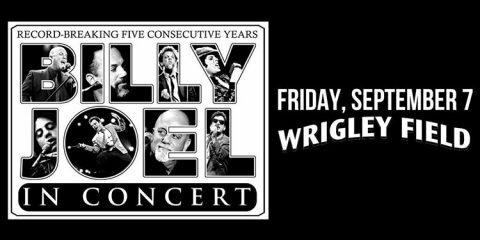 Celebrating a musical catalog that spans more than fifty years, fans were treated to nearly two hours of classic grooves, and a few new surprises. 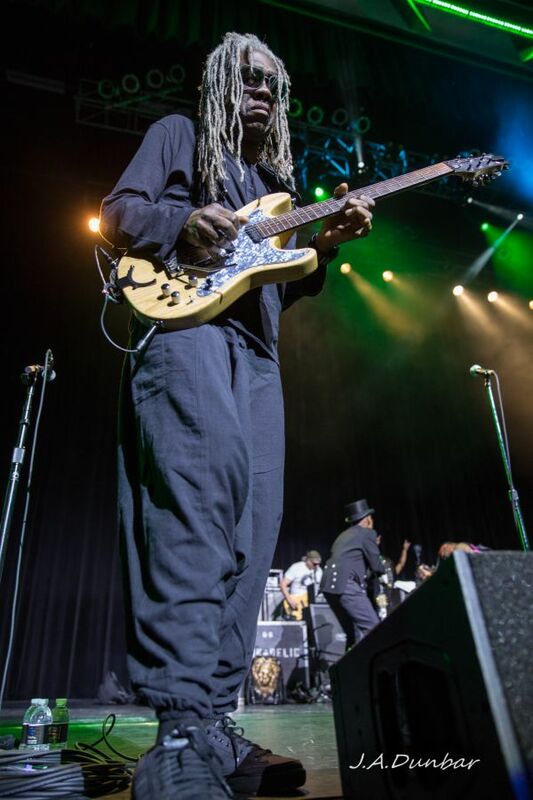 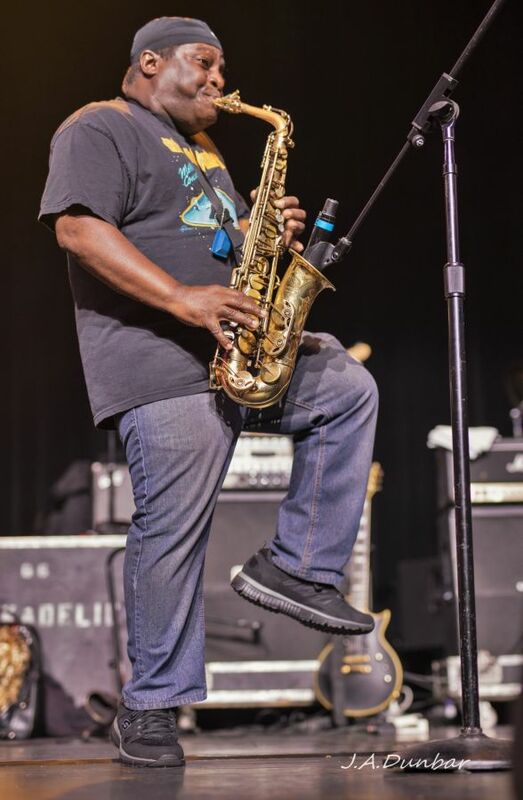 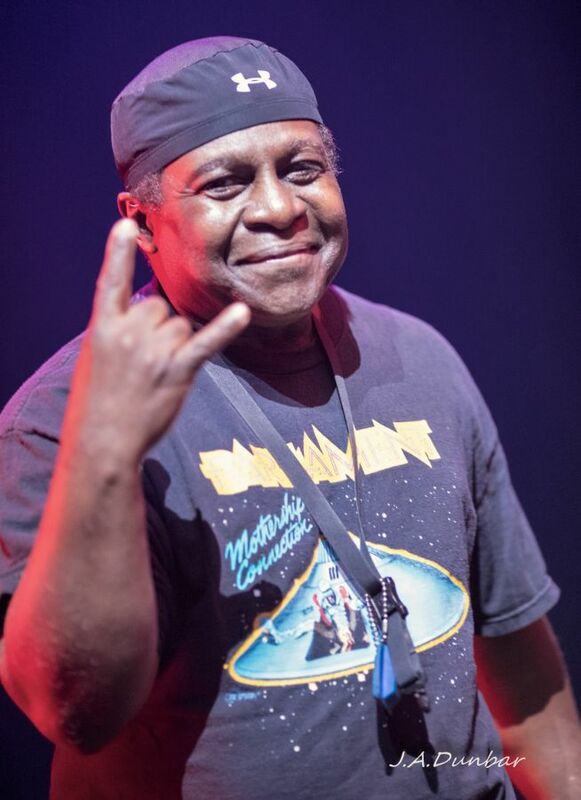 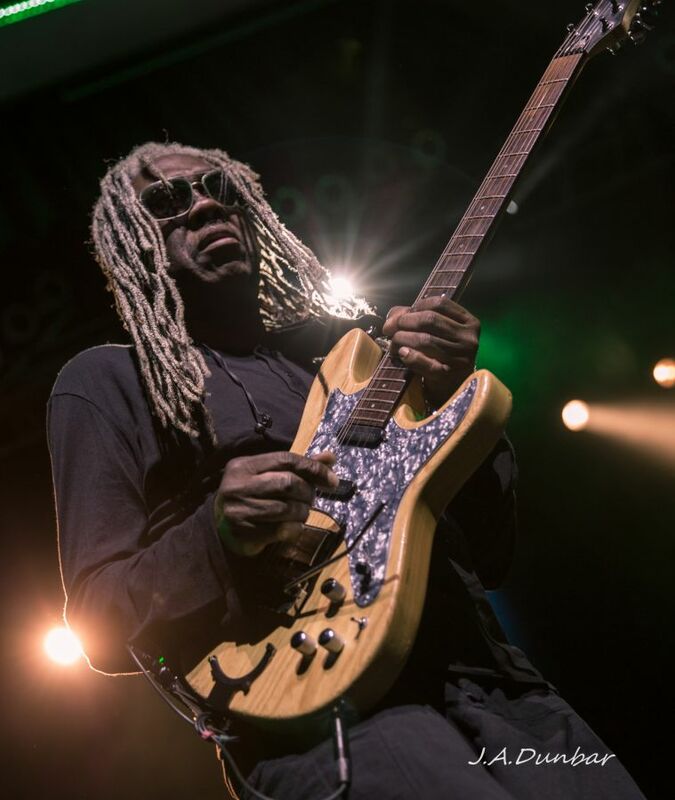 “Super Stupid” sent bolts of lightning into the audience, followed by “One Nation Under The Groove,” “Flashlight,” “Nation,” and the Hendrix-like, fretboard melter “Maggot Brain.” P-Funk’s long-standing guitarist Blackbyrd McKnight, flows with the skills and prowess of a legend. 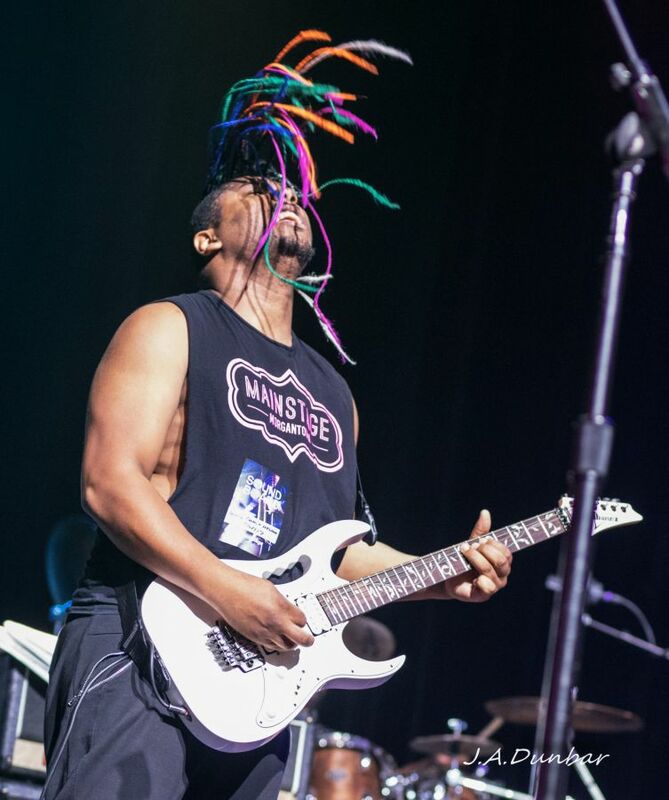 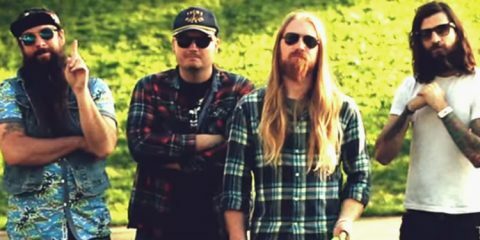 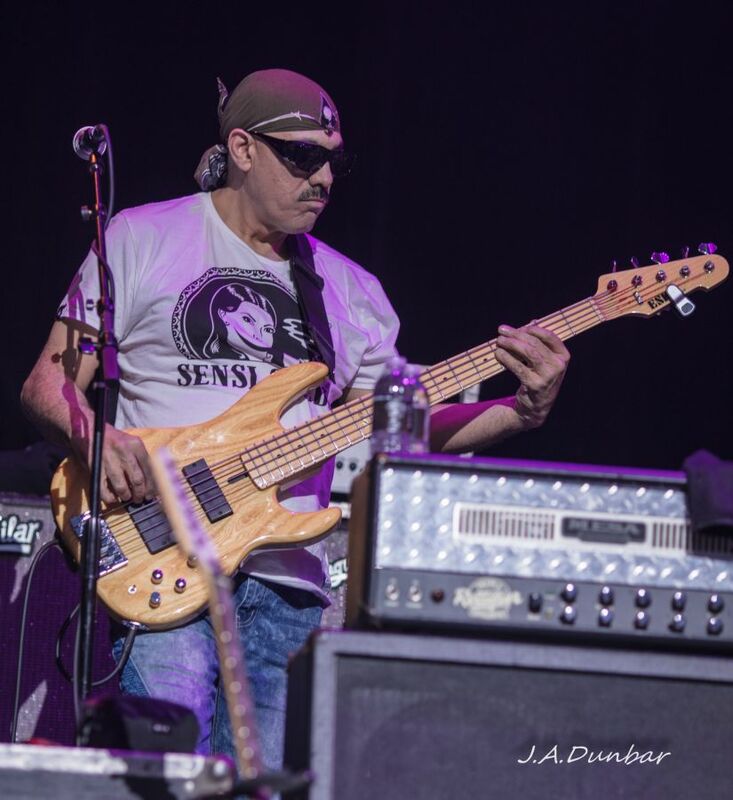 Modern day finger tapping, Hendrix style runs, and some unique funkadelic riffs make his contribution to the P-funk team a welcome balance to a powerhouse rhythm section. 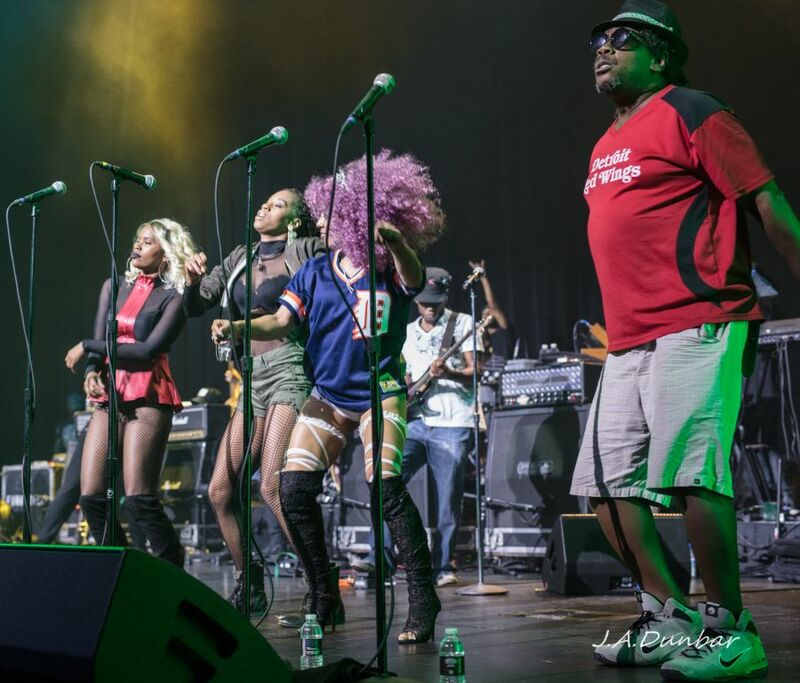 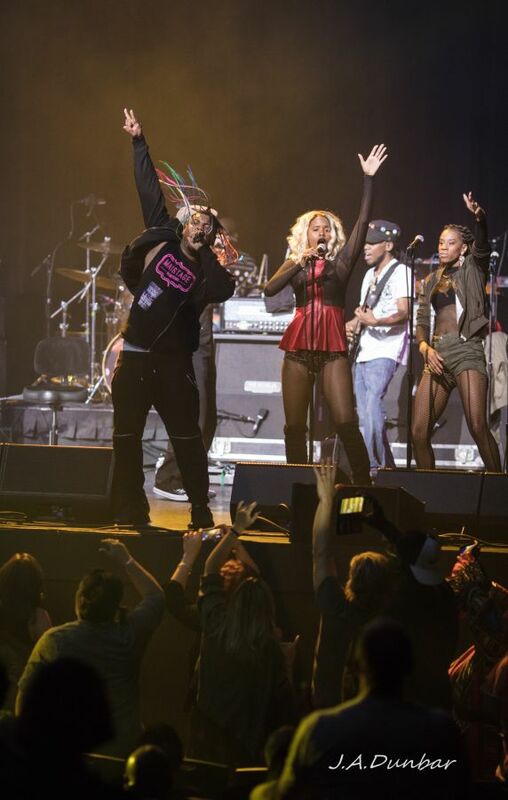 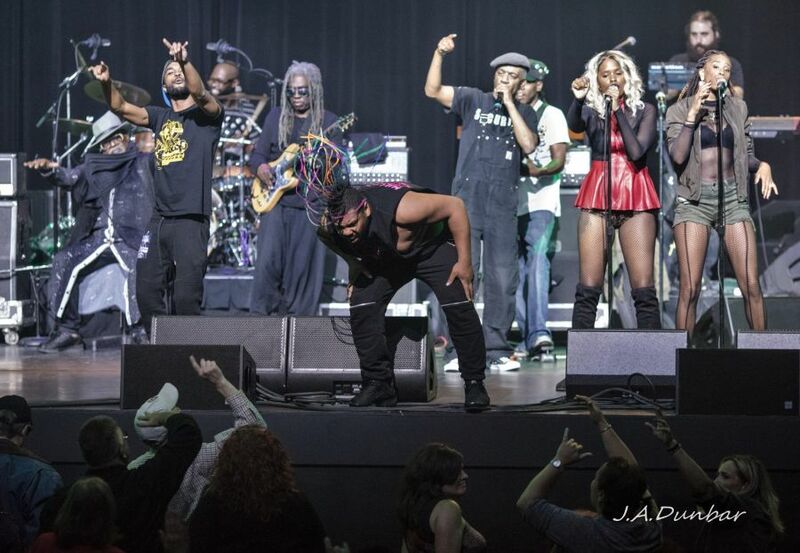 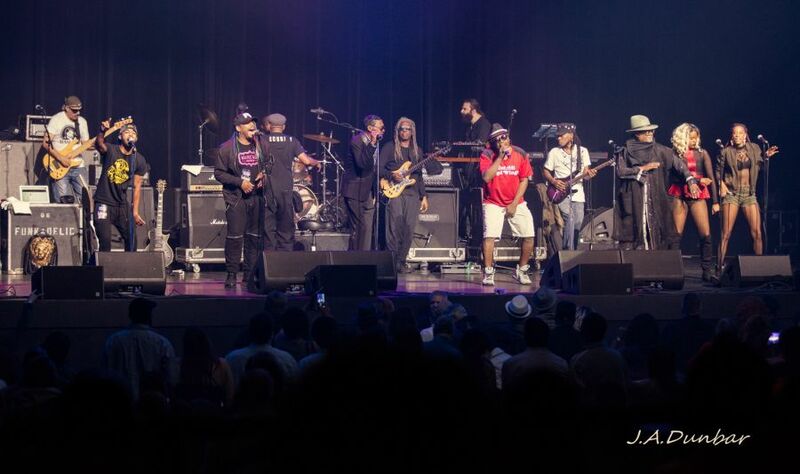 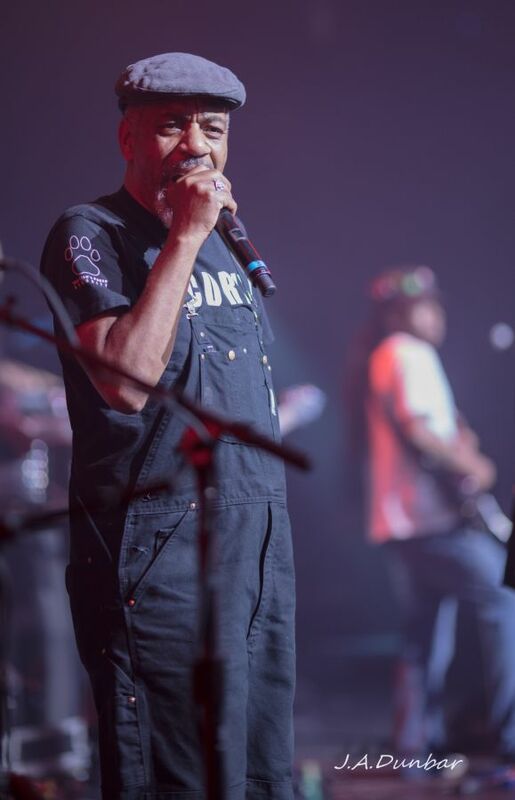 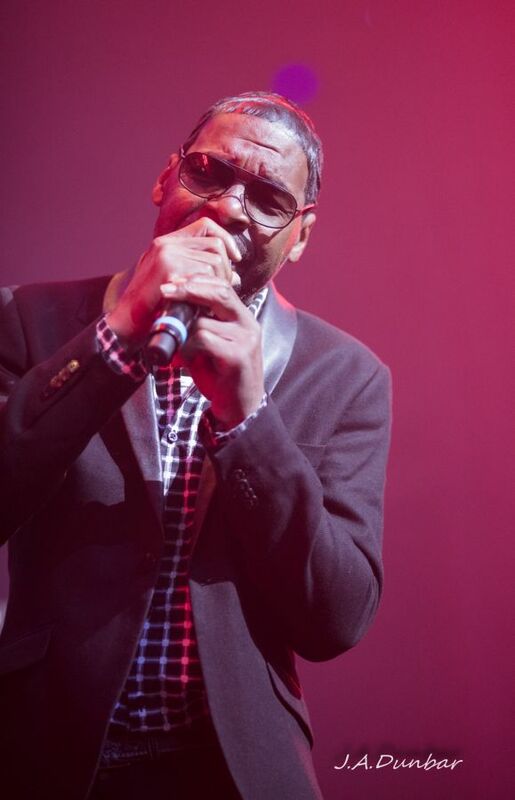 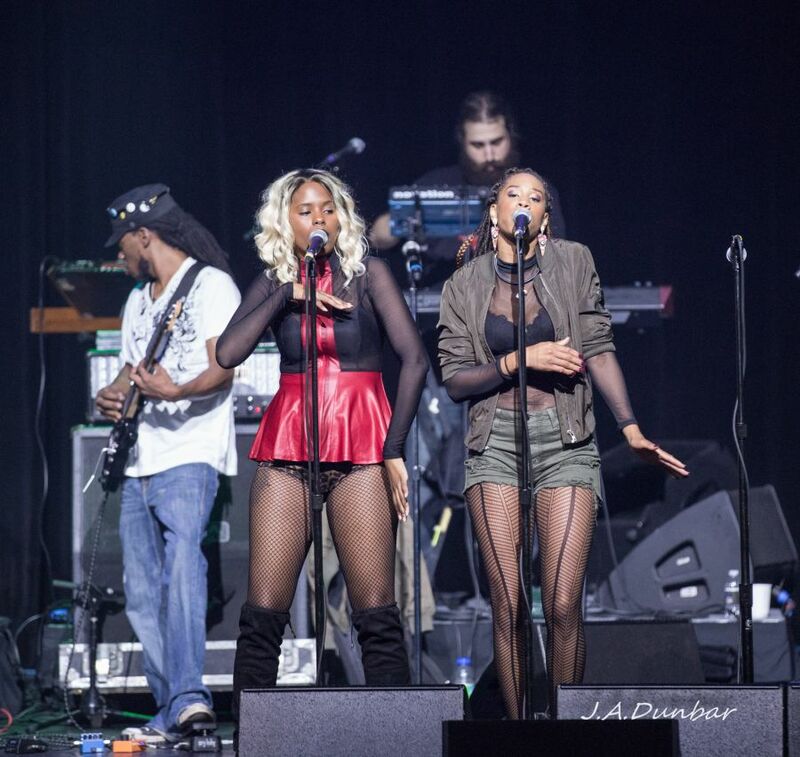 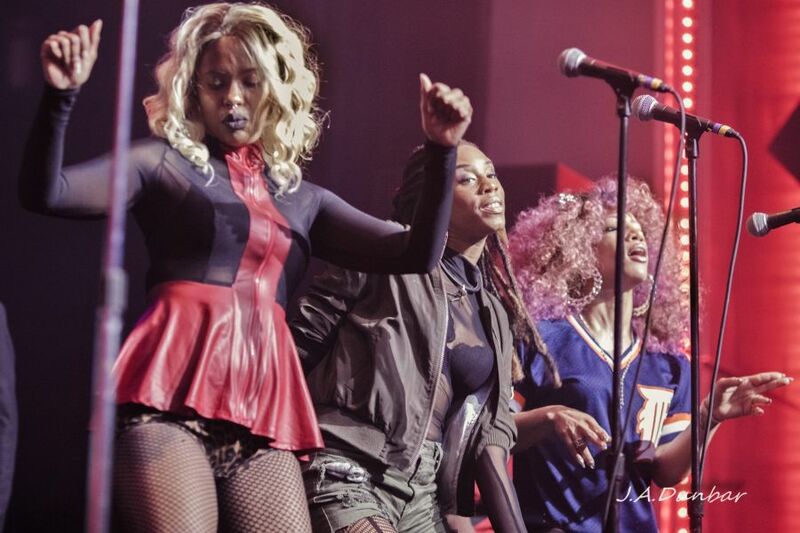 The Parliament Funkadelic brought an energetic stage performance, including a team of backup singers, skilled dancers, and a host of walk-on guests. 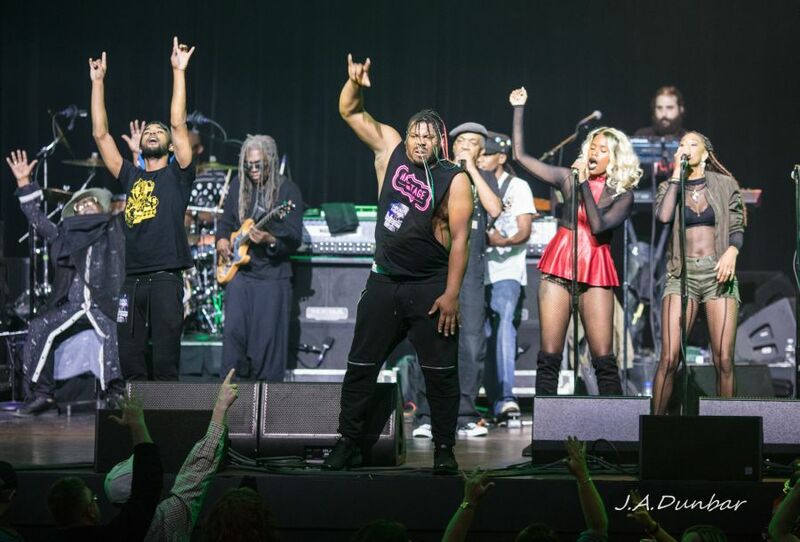 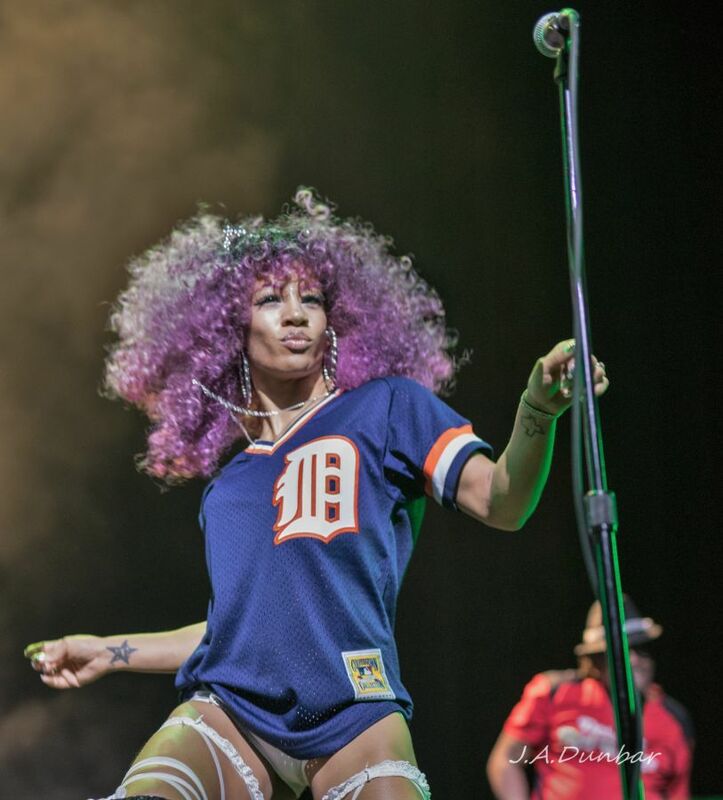 Those in attendance will agree, there is nothing quite like a P Funk party, back home in the D.